Small dog fashion clothing has been a popular statement for many years. Trends have come and gone much like the fashions of humans. And now in turn, denim has made its way back round. Teacup dog clothes are exploding with denim. 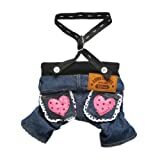 Denim jackets, denim pants with suspenders, jean scarecrow pants with patches, and even denim hats, all made for your teacup dog in mind. What kinds of things have dog clothes designers brought back for your furry best friend? 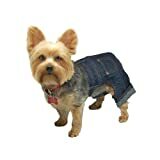 When shopping for Teacup Yorkie Clothes, you must check out the denim pants with suspenders. The suspenders can also double as a harness. Your Yorkie will be the talk at the dog park. This isn’t just any denim jacket. This Teacup Yorkies Clothes aren’t plain Jane anymore, these jackets have been Bedazzled until the cows come home. Get this, this denim jacket is outfitted with faux fur on the collar and the cuffs. 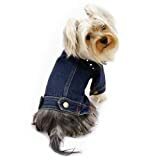 Your teacup Yorkie can go 80’s with a cut off denim jacket. The leg holes are pretty rad, with frayed edges. And don’t get me started on the wash: Stone washed, Dark wash and faded wash; these jackets come in all different color of denim. Have you ever wanted your dog to dress a little Gangsta? 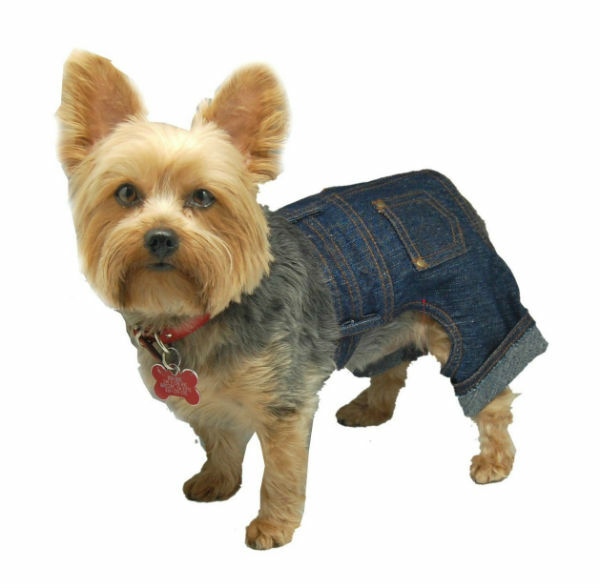 Now Teacup Yorkie Clothing has denim shorts with a built-in oversized shirt and hoodie to give your pup an edge. Gold chains have been sewn on to show that this dog has Swag! Now if only we could get the dog to wear a gold ring. If Hells Angels has been a secret desire of yours, you can now live vicariously through your dog. A new style within Teacup Yorkie clothing is the Pink Motorcycle Jacket. With the Hells Angels logo on the back, your dog will be cooler than his master. 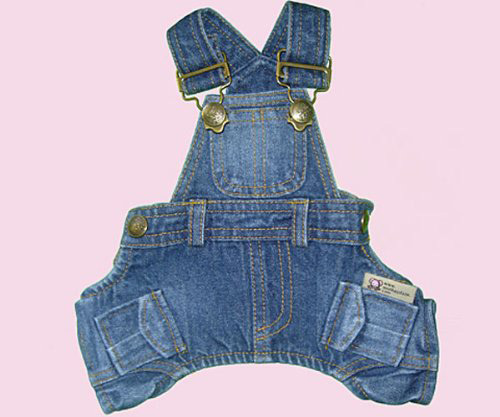 Classic denim coveralls seem to always be in style whether a human or a dog is wearing it. These coveralls can be plain blue denim, or come in a green camouflage denim and numerous other dyed denim colors. Now, while your Teacup Yorkie is riding alongside you in the logging truck, he will be outfitted in the best for the rough life you live. Do you want your Teacup Yorkie to match you? Yes, it is possible. Are you sporting blue denim skinny jeans with a red and white polka-dotted scarf belt? 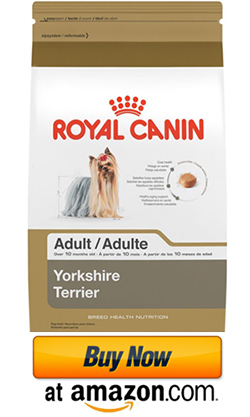 Your little Yorkie dog has the same option! 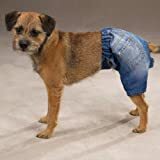 Look through your closet for your favorite denim pants and accessories, and you can find those same options for your dog too. 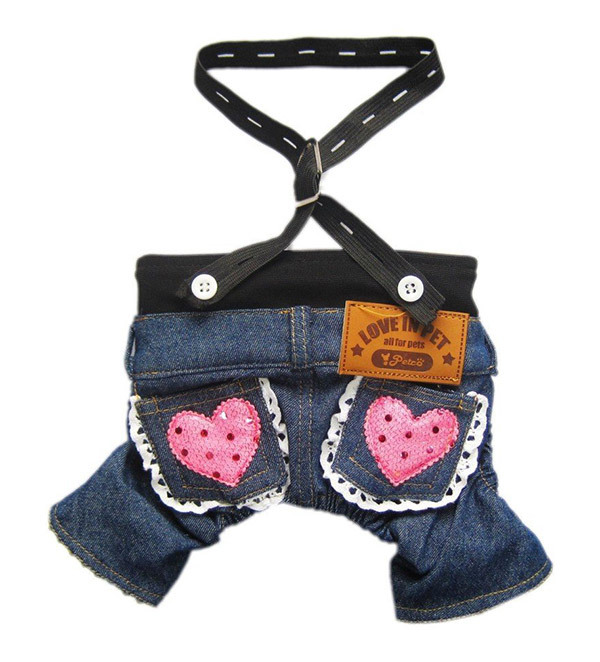 Your teacup pup can be just as fashionable as you with the help of denim dog clothes. With denim coming back into the trend, your furry friend will never be out of style. And with dog fashion so close to that of a human, people may become confused as to who the real pet is. My favorite has to be the Pink biker jacket when voting for doggiefashiontrends.com/clothing. It will make my cute puppy Tinkerbell so cute.